DC Stampede Kicks off #stormskanska Week of Action! On the first evening of the lastest #stormskanska national week of action, DC-area activists visited the Montgomery Village, MD neighborhood of Martin Sharpless, VP of Skanska USA Building. 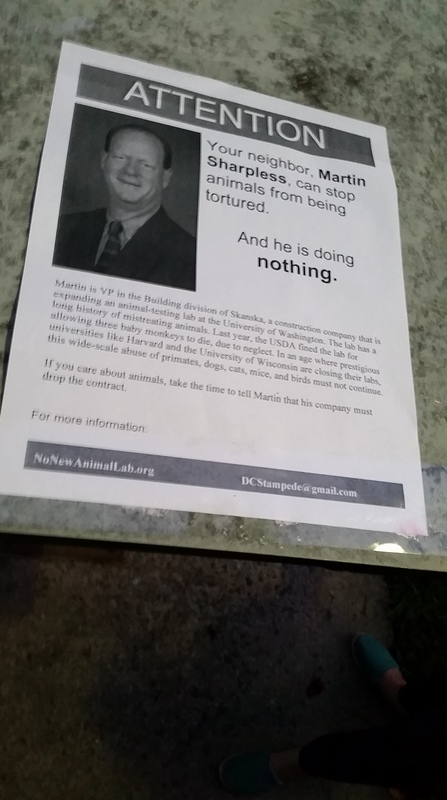 They had a lot of positive conversations with his neighbors, who largely agreed that Martin should do what he can to prevent animals from facing p ainful experiments. 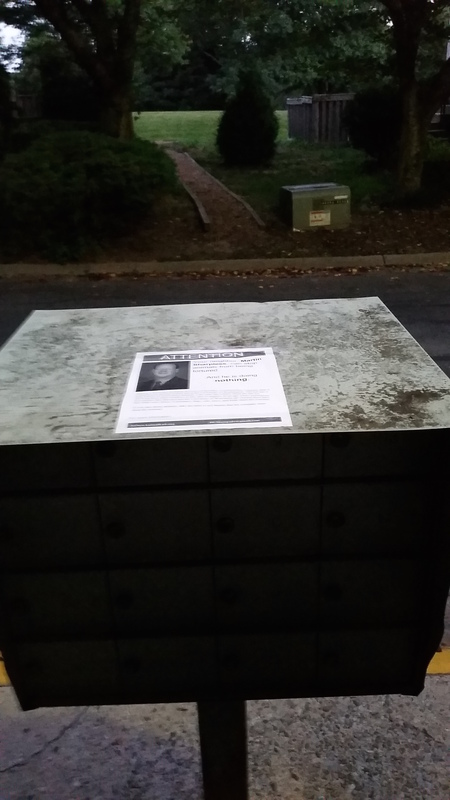 Four of his neighbors even signed letters for Martin, calling on Skanska to drop the contract with the University of Washington. For the latest on the campaign, check out No New Animal Lab. There is a lot of action happening all over the country, including another local event in the DC area on August 1st!